The West Side’s Safer Foundation is receiving a $4.5 million federal grant to help formerly incarcerated individuals find work. In all, the U.S. Department of Labor awarded about $73 million to 32 nonprofits nationwide, including to North Lawndale-based Safer Foundation. “We know that private sector employment breaks the cycle of recidivism, and reducing recidivism is reducing crime,” Victor Dickson, the foundation’s CEO, said earlier this month at a press conference announcing the grant. The federal grants target communities with high crime and poverty rates, according to the Labor Department. Dickson said his organization will use the money to expand its existing programs, which includes job training, education and employment placement. 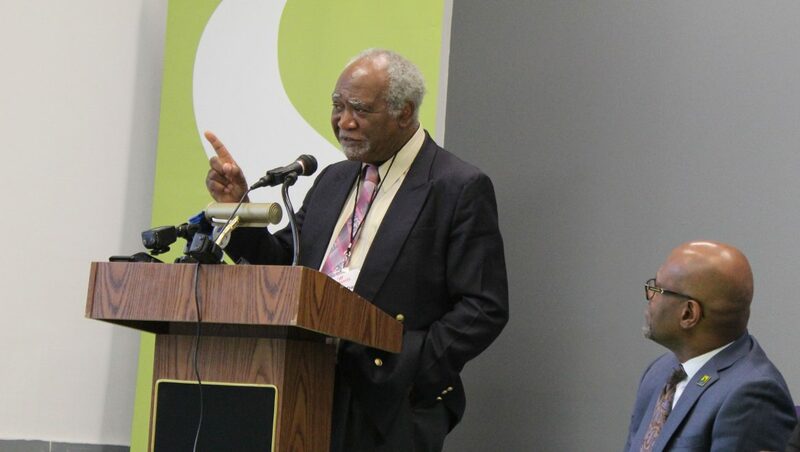 The grant is not only a welcome sign to organizations but the former inmates they serve, said U.S. Rep. Danny Davis, a sponsor of federal “Second Chance” legislation that helps former inmates re-enter society. Unemployment, crime and poverty rates remain high in North Lawndale and other West Side communities where most of the state’s inmates return upon release, the Austin congressman said. Some 30,000 inmates are released from state prisons each year, with nearly half returning to the city of Chicago, according to Illinois Department of Corrections data. In 2014, the department reported that most of those inmates returned to zip codes on the South and West sides. And they’re often returning to communities where little has changed in terms poverty and crime. North Lawndale and Austin have a 19 and 21 percent unemployment rate respectively, according to data from the city. West Garfield’s is among the highest in the city at 25 percent; East Garfield’s is 16 percent. Those communities have also racked up 95 of the city’s roughly 400 homicides so far this year, according to police data compiled by Chicago Tribune. The Safer Foundation announced the grant award July 16 at its Adult Transition Center, 2839 W. Fillmore. Its one of two work release centers serving roughly 500 inmates who have two years left on their sentences. State Rep. La Shawn Ford shares his view on how what happened centuries ago to African Americans still affects the country today.